Mobile Ordering in the food service industry is growing. And it is now early adopter businesses who are reaping the financial rewards of providing mobile ordering applications – evidence is emerging clearly showing that these companies sales are skyrocketing! Mobile Ordering Systems – Not Too Long Ago . . . There was a time when purchasing things through mail-order was not so convenient, especially when it came to tracking your orders progress. Back then, tracking your order meant calling customer service and people at customer service then looked it up for you through special tools. Sometimes they were unsuccessful in finding out how your order was doing (I should know. I used to be in customer service). Even if you were notified of the progress of your order through email, you still had to log on into your web mail account. In those days, if you were notified of your email through your phone meant you owned a Blackberry. Not anymore. 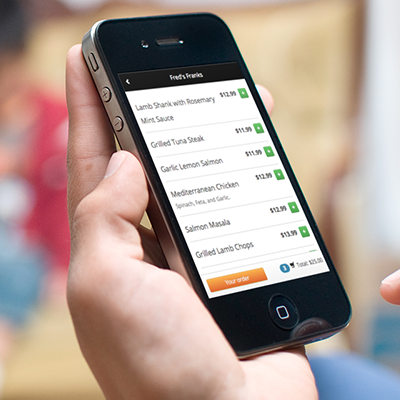 With the advent of smartphones and mobile apps, online ordering has never been so easy. Mobile apps have made it possible for you to order stuff, pay for them, get notified of the order progress, and give product reviews all from the comfort of your phone. Take your favourite restaurant, for example. You download their mobile ordering app, and fire it up. You select your meal, pick add-ons, review your order, pay and arrange for pick up time — everything done smoothly and fast — without having to call the restaurant or take to the attendant. Then, after having picked up your order and enjoyed it, you use the same app to give the food you ordered a rating — you can even share your review and recommendation to your favourite social media sites. Remember when it used to be annoying ordering and printing out movie tickets online? Now, you just need your phone to purchase tickets and flash a QR code at a scanner before entering the movie theatre — electronic ID style. That’s the convenience mobile ordering apps provide. No wonder the use of mobile ordering apps are experiencing an explosive growth and adoption. It’s not only you who benefit – its business as well. Mobile Ordering apps minimise employee errors in taking your order, have the mobile order system active 24/7 (giving harassed customer support a break), and allow businesses to notify customers when their order is expected to arrive or when stock becomes available. Notifying customers about “deal-of-the-day” specials — all in real time — is also easy with mobile ordering apps. All that’s needed is to write a notification and send to all customers who downloaded the app. Try that with expensive traditional advertising — or emails that might end up straight on the deleted tray. Smartphones and mobile ordering apps have made it possible for businesses to bypass the traditional marketing middlemen. Savings on advertising allow businesses to allocate resources to offering more customer rewards — or more affordable products. And, with the review and product ratings literally in the hands of customers, sellers can then focus on getting ahead of their competitors through better products and better service. Mobile Ordering is even better If You Have an Online Business . . . Mobile ordering apps are a must-have for business-to-business (B2B) companies. Your business can’t afford to miss out on the mobile phenomenon. More people are now spending time online using their mobile phones or tablets than desktop computers. How do you get hold of your very own mobile ordering app then? Traditionally, you had to be prepared to assemble a team of designers, developers, and usability experts before you could go about developing a mobile app. But not anymore. Enterprising companies have realised that the time needed to develop simple online ordering applications can be made quicker and less expensive by offering a “build-your-own app” service with the use of standard and simple mobile ordering app tools. 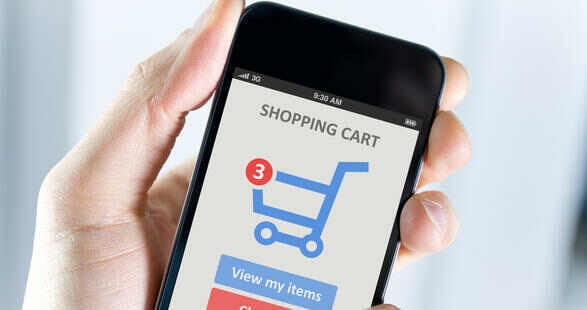 This is possible since the parts and features of online ordering apps — product search, product checkout, mobile purchase, geo-location, in-app coupons, loyalty program, push messages, reviews, social media sharing — are pretty standard. The building block approach is making it possible for smaller businesses to have their very own apps — fast, good-looking, and affordable. Most importantly, you’ll want a company that listens to your feedback so they can give you the best mobile apps you need for your business to grow and prosper in the mobile applications market. 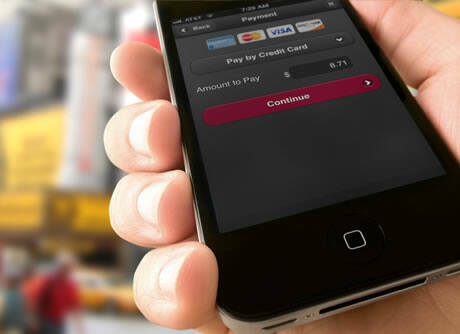 Making the right choice of company is the first step for success in your mobile ordering business. Phil Talbot is founder of saavi – the mobile ordering specialists and the resident expert in mobile ordering systems. You can follow saavi on facebook.